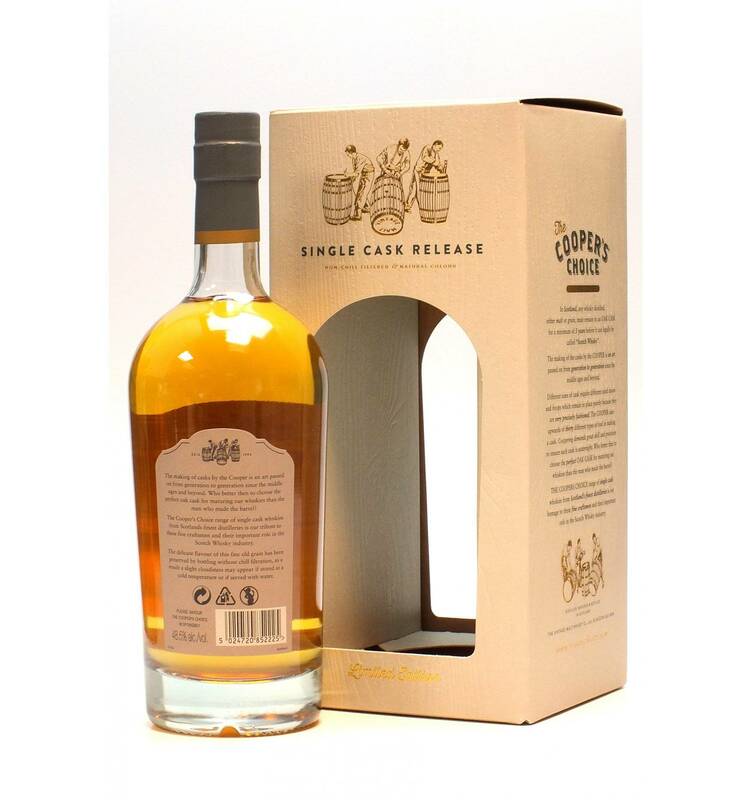 Garnheath distillery was founded in 1964 in Moffat. It was born from the conversion of an old paper mill. The first distilling took place in 1965 and the distillery was finally closed and demolished in 1988. It was part of a complex that also included Glen Flagler, Killyloch and Islebrae. This single grain Scotch whisky was distilled in 1986, just a couple of years before it was demolished. 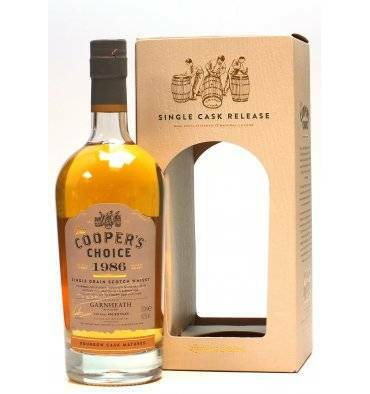 Aged for over 28 years in a single bourbon cask No.22156) and later bottled in 2015 by The Vintage Malt Whisky Co. as part of The Cooper's Choice range.